The categories page can be found under the CAMPAIGNS drown-bar on the Main Menu. - To create a custom Category use the text box located on the on the right side of the page. Enter the name of the new Category and click the blue '+' icon to add it to your list of Categories. You may also add suggested categories by clicking the checkbox associated with that category. - You can delete Categories by clicking the blue 'x' icon next to the category you would like to delete. 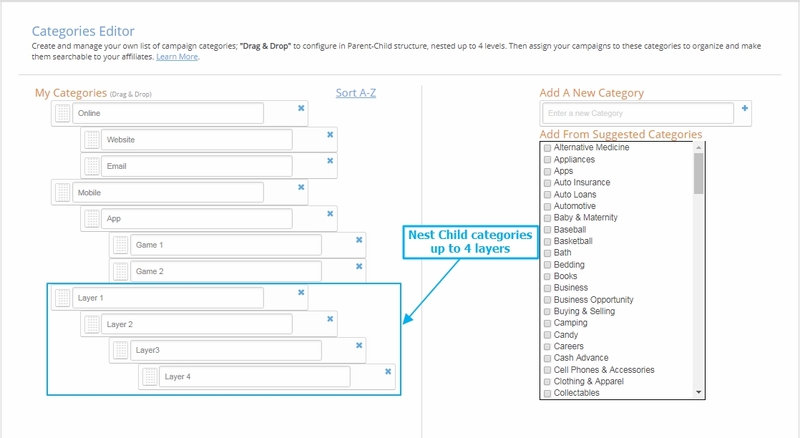 If the category you wish to delete has campaigns assigned to it, a popup will appear where you can move all campaigns to another category. 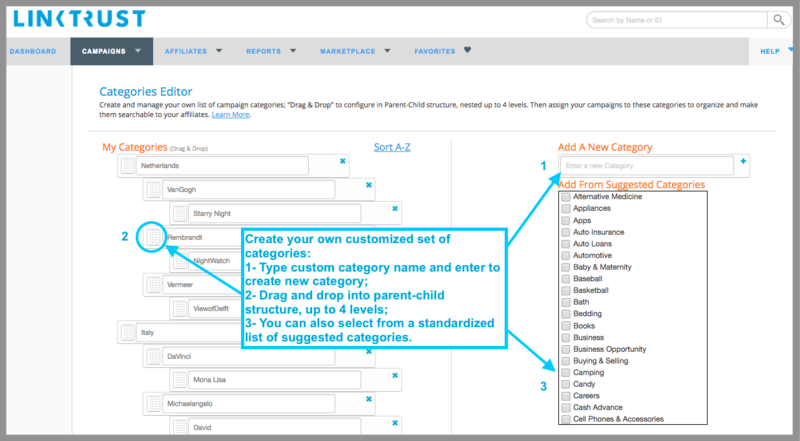 - Click and drag to create Child Categories.